Lately, I have been into tops with unique details. These tops can easily transform a simple look to something more unique and fun. 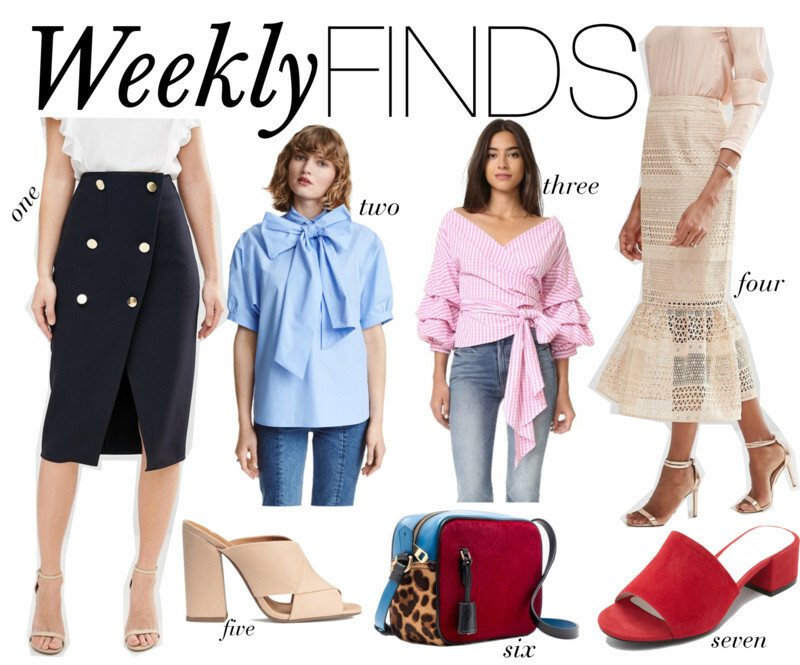 This 'ruched sleeve wrap top' is a must have from this weeks finds. It can be styled formally or casually with jeans. Another current obsession of mine are mules. I previous styled my mustard yellow mules few week ago here. Colored mules are great way to add color to a look while maintaining a fun and chic look.